Durable, High Flow, Light Weight. The 74 offers unmatched durability and flow in a light weight package. 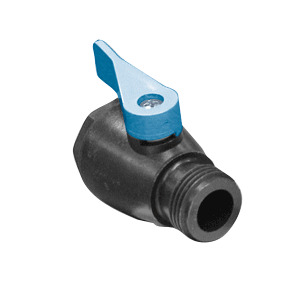 Made from reinforced, fiber filled plastic, the 74 Shut Off Valve is designed for longevity. Boasting a larger opening than our popular 300 Brass Shut Off Valve, the 74 allows a full flow of water. The 74 is available from Dramm Distributors throughout the world.